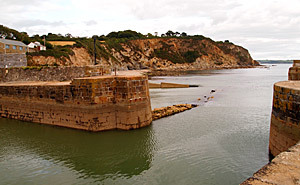 St. Austell is situated close to the east coast of Cornwall, some 16 km south of Bodmin. The name comes from the ancient dedication of the Parish Church to St Austol, a Breton saint. The church is now dedicated to the Holy Trinity and it was once said that the only notable feature of St Austell was its Parish Church. However, the area sprang into importance when vast deposits of china clay (Kaolin) were discovered in the hills north of the town. 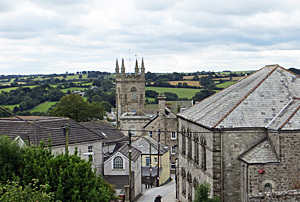 The population then quickly grew until today St Austell is reputed to be the most populous town in Cornwall. Many tourists are drawn to the area by nearby beaches and the surrounding holiday attractions. The town centre recently underwent a £75 million redevelopment and a covered shopping centre, White River Place, was opened to the public in 2009. There is also a weekly market by the church selling local produce. 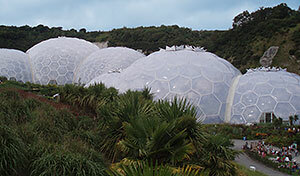 The Eden Project, located just outside St Austell at Boldelva, is undoubtedly Cornwall's prime visitor attraction. The Project is a revolutionary concept and consists of a series of giant greenhouse domes set in a former china clay pit. Three "biomes": the Outdoor, the Rain-forest and the Mediterranean Biome permit visitors to experience plant life as it really is in these three environments. The China Clay Country Park is set in 26 acres of woodland some 3 km north of St Austell. 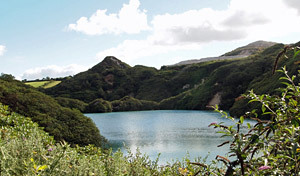 Visitors can follow nature and historical trails which lead to a high level viewpoint over Wheal Martyn Pit, a present-day working clay quarry. An exhibition explains the process for extracting the clay, which is a prime ingredient in ceramic production. The clay is produced when granite decays over long periods of time. Until the discovery of St Austell's kaolin deposits in the mid 18th century the clay could only be obtained from China. 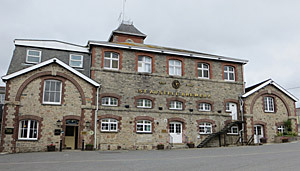 The St Austell Brewery Visitor Centre is located at 63, Trevarthian Road. The Centre is an interactive museum that tells the story of many of Cornwall's pubs and beers. You can walk through the old Victorian brewery and see exactly how beer is brewed.